This begins an exciting new series of how to talk to animals training with the best professional animal communicators and pet psychics in the world. Join me and my guests as we discuss how animals communicate telepathically with each other and how humans can learn to speak their language, to hear their voices, to learn from their wisdom. In our short 10 to 15 minute chats, we’ll be discussing how to use animal talk to solve pet behavior problems, enhance training and performance issues, healing animals, how to ease transitions, how to reconnect with pets in the afterlife, and much more. 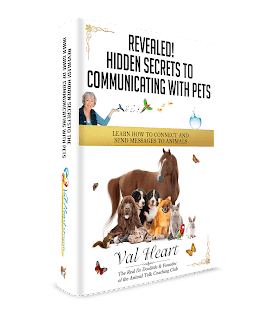 Animal communication also called dog or cat or horse whispering is an important skill every animal lover needs to know. And with a little coaching and practice, you can learn how to talk to animals yourself. Interested in my AnimalTalk Coaching Club? Top 4 reasons to join right now. You GET how powerful regular inexpensive access to a top expert with well over 24 years communicating and solving problems with pets could be for YOU! Click here to check out my AnimalTalk Coaching Club!